“They should be praying for God to forgive them for letting the gun lobby run this country because it’s so crazy,” the emotional Kimmel exclaimed to his audience. Kimmel asserted that we could prevent evil people from doing evil things with guns, but we choose not to. Kimmel claimed that the U.S. freaks out when “someone with a beard attacks us,” but doesn’t want to deal with mass shooting. “And Second Amendment, I guess our forefathers wanted us to have AK-47s is the argument I assume,” he joked. 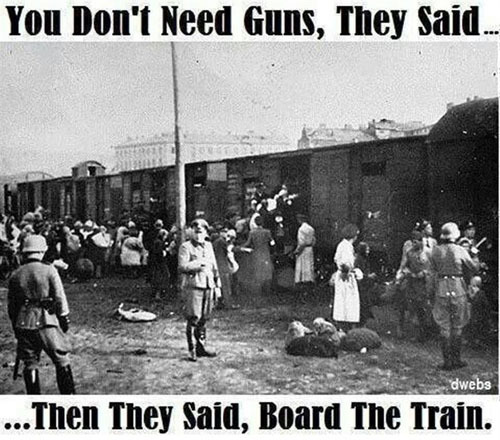 But what went over the funny man’s head, was the historical fact that our forefathers wanted us to be well armed to protect ourselves from a totalitarian government. One of his first lies was that semi-automatic rifles were “not weapons you use for self-defense.” He was either being disingenuous or don’t know what he’s talking about, because many owners of such rifles use them for home defense, along with sporting activities. For example, AR-15s are ideal home defense weapons for women, having little recoil and holding enough rounds that those who don’t spend much time at the range can afford to miss a few times. Kimmel went on to recite various lies that have been debunked and demanded restrictions on our constitutional rights that would have done nothing to prevent the massacre. Like much of his audience, Kimmel might be enough of a dope to believe that Stephen Paddock would have been significantly inhibited by nuisance laws that serve only to harass law-abiding gun owners. Smug idiots honestly believe they are on the side of the angels. But the people driving the agenda could not be that stupid. Paddock almost certainly broke gun laws as it is. More restrictive laws would no more have stopped him than they stopped the Islamic terrorists who used illegal guns to shoot up the Bataclan in Paris, where the fundamental right to bear arms is ignored. This is not about preventing mass shootings. It is about exploiting mass shootings to push us toward a position where the government does the mass shooting because the citizenry is completely at its mercy. Where useful idiots help guide the herd. Hat tip: Liberty Daily. Tip from cieran58. Cross-posted at Moonbattery.